What does one do on a February day when the thermometer stretches all the way up to 36º F, and all the world becomes drippy melty muddy? 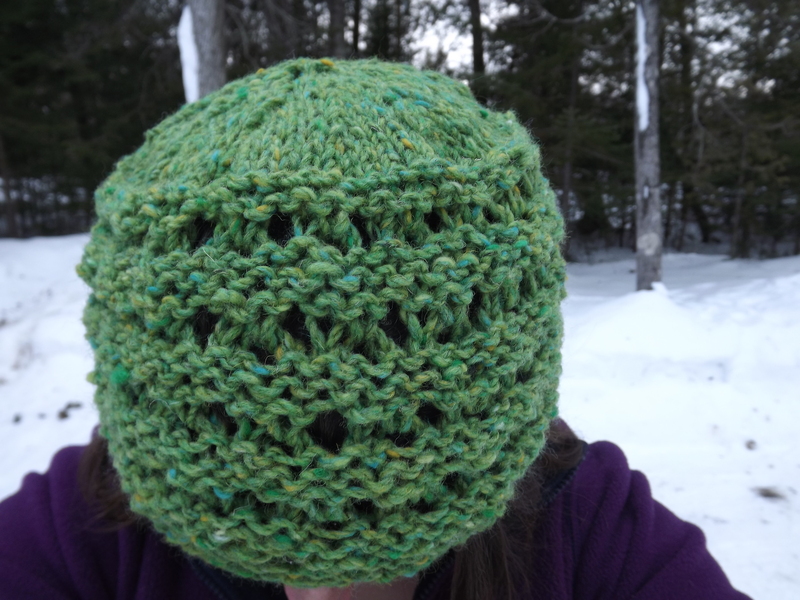 Why, finish a hat, of course! Isn’t that what you thought I’d say? 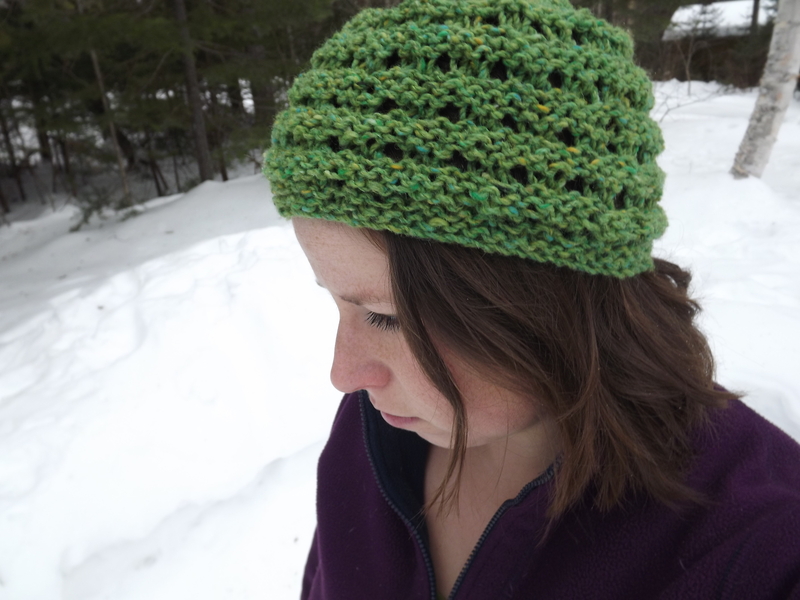 I’ve been knitting up a slew of hats this last month or so (babies, babies, everywhere! and a few other gifts too), and though I’m not quite finished with most all of them, I realized last weekend that I hadn’t knit one for myself. In fact, I’m still wearing the same hat I’ve been wearing for the last 10 years. It’s a great hat, a gift from my Nana. But really, doesn’t a girl deserve a new hat after 10 years or so? 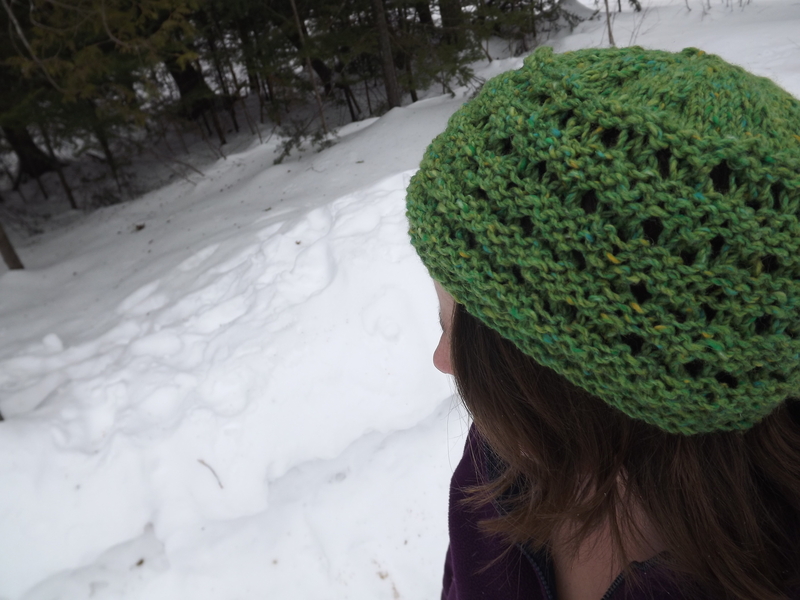 I cast on for this hat in the loveliest bright, springy shade of green I’ve ever seen, a Plymouth Tweed (#5323). 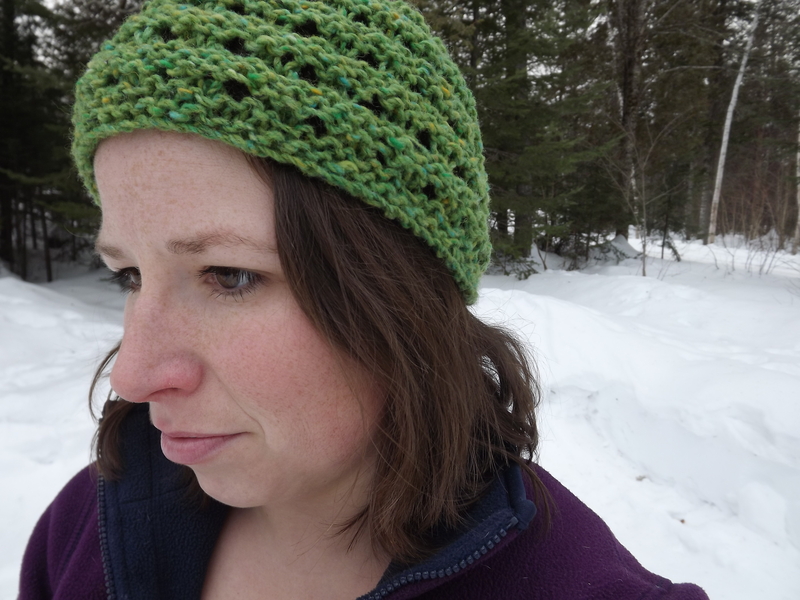 I used a size 7 needle, instead of the recommended 9, as I know I knit loosely. I also managed to screw up the very easy, beautifully written pattern (which is what happens when you don’t read the directions carefully). Nevertheless, I finished off the last four rounds or so this morning, and popped it on to try it out. I think I’m in love. I haven’t taken it off since. Thanks for sharing. We all need a Happy Corner. I hope you are all having a great week! Nicole, your comment made my morning. Don’t be fooled–“divided” is much more often my reality than any other entry here. I’m so thankful you stopped by!